I have three projects, each with recordings underway. I play guitar in “The Great Unknown” we have just finished recording and will be releasing our debut album “Cemetery Road” in the next month or so. I’m currently working on material for a “Solo” album with plans to release that in November this year. I’ll be taking that with me to Memphis U.S.A. in January 2019, where I’m performing for the third time at the International Blues Challenge (Youth Showcase), representing the Melbourne Blues Appreciation Society. While in the States I’ll also be heading off with my guitar to Nashville, Jackson and Muscle Shoals. Once I’ve returned to Australia, I’ll be back in the studio with “The Charlie Bedford Band” to record our debut album, with a planned release around May/June 2019! I’ve been playing guitar since I was six and playing live in bars since I was twelve. So eleven years in total and five years performing live! Why did you first start playing? Originally I believe it was because of my dad playing guitar at home, he also played a lot of records, growing up there was always music being played through the house. Dad used to be in a few bands when he was younger and did really well! He started teaching me the basics when I was five and by the time I was six I was completely hooked! B.B. King is easily my biggest influence for my blues playing, but I love all of those traditional blues guys, some of my old blues favorites are Albert Collins, Buddy Guy, Muddy Waters, T-bone Walker & Albert King. I’ve been getting into a lot of modern blues artists at the moment such as, Eric Gales, Josh Smith, Kirk Fletcher & Artur Menezes! I listen to all sorts of music but I feel like blues is my home. My favourite guitar would definitely be my Hagstrom Viking (Swedish), it’s similar to a Gibson ES-335. I’ve played strats and teles too which I love, plus my Cole Clark acoustic, but I always end up going back to my Hagstrom! It’s finished in a gorgeous “transparent wild cherry” and has got all of the sweet B.B. King tone on the neck pickup and has all of the Albert Collins bite and twang on the bridge pickup. When I put both pickups on at the same time I can get a really funky thing going on! I had it modded to so I can get an “out of phase” sound like T-bone Walker, which is great fun! I bought it second hand online when I was 13, so it was a bit of a shot in the dark as I’d never played a Hagstrom before. It was one of my best decisions, I’ve barely put it down since that day, in fact it’s sitting right next me now, as I’m answering this Q&A! Number 1, I make sure I know the material I’m playing inside out, I usually re-string my guitar before the show. I like to arrive early for a gig, so I can be set up and have a chance to chill out before show time! I make sure I’ve got plenty of water on stage and then just relax and have fun! During my first trip to Memphis when I was sixteen, I was invited to get up and play at a jam at the world famous “Blues City Café” on Beale Street. Hundreds of blues legends have played on that very stage, so I was ecstatic. I played three songs with this great band, a gentleman joined us on bass & lead vocals, he was brilliant, I didn’t think too much about it until I got off stage and someone in the crowd said to me, “gee that was awesome that you got to play with Russell!” I didn’t know who this Russell fellow was, turns out it was Russell Jackson! He was B.B. Kings bass player for 7 years!!! I quickly caught up with him and told him how much B.B. was an influence and we’ve now became good friends, in fact we caught up again earlier this year at the 2018 IBC and talk on Facebook from opposite ends of the world! Lots of things inspire me, my gear for example my guitars, amps, & pedals all have different tones & sounds which inspire me to play differently. When I hear a new artist or a different genre of music I get excited & start to explore that further. I love to see my friends & people I know of doing really well, it motivates & inspires me to work harder to do the best I can! At the moment, I’m kind of wishing I wrote a song from Eric Gales latest album called “Change in Me” It’s a bit heavy for my style, but I just love the power and energy he puts into it! I would say that my sound in a food form would be some sort of southern smoked or fried chicken with a real spicy sauce! That’s a real Blues meal with a bit of bite! Next up is The Winter Blues Festival in Echuca & then The Melbourne Guitar Show (Sat 4th and Sun 5th of August) at Caulfield Racecourse, it’s going to be bigger and better than ever and I really can’t wait! Apart from all the great gear, I’m stoked to have been invited to share the stage with Nick Charles, Phil Manning, Ed Bates, Justin Bernasconi & Fiona Boyes for the Blues & Roots Acoustic Jam which is going to be amazing. Then to top that off I’ll grab the Hagstrom & will be performing in the Triple M Finale Jam with guitar legends James Ryan, Jack Jones, Brett Garsed & Shannon Bourne which will be incredible!! I can’t wait! My scene is the blues world, a bunch of super awesome people who love to get out and enjoy the music, support each other and keep blues alive! Original song “The Out of Town Laundromat Blues” performed live in Memphis U.S.A. at the International Blues Challenge – Jan 2018. Charlie Bedford is a 17-year-old guitarist & vocalist from Melbourne. 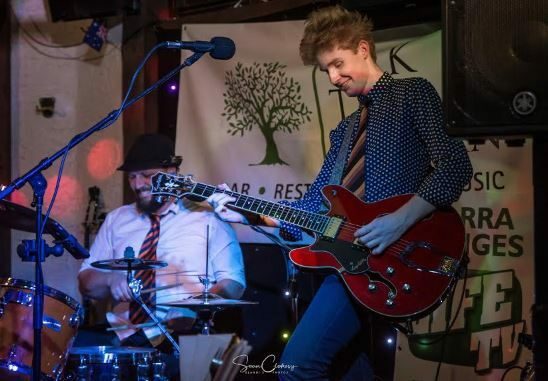 Charlie performed at the “International Blues Challenge – Youth Showcase” in Memphis 2017 and 2018 representing the Melbourne Blues Appreciation Society! And is returning again in 2019! He has played with & been mentored by some of the biggest names in Australian Blues such as, Geoff Achison, Sweet Felicia, Jimi Hocking, Andrea Marr, Russell Morris & Lloyd Spiegel to name a few. Charlie is a fresh act on the festival scene, representing the next generation – keeping the blues alive! He’ll get your feet tapping & leave a smile on your face! 2.15pm TRIPLE M FINALE JAM You’ve spent the weekend watching some of Australia’s best guitar talent, you’ve picked up your dream guitar bargain, seen a cool demo or two and thinking life couldn’t get any better… BUT … we’ve saved the best until last! Some of Australia’s slickest pickers will come together on one stage for the Triple M Finale Jam. The line up includes: Jack Jones (aka Irwin Thomas), Brett Garsed, James Ryan, Shannon Bourne, & Charlie Bedford. 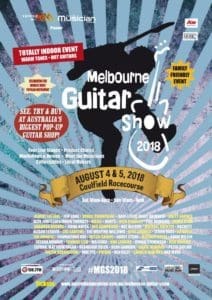 Australian Music Association announced the 2018 return of the Melbourne Guitar Show, set to rock Caulfield Racecourse on August 4 and 5 – and this year, it’ll be bigger than ever. Proudly presented by Triple M and Australian Musician, the lineup boasts an impressive haul of both local and international artists, and featuring amongst the bunch is none other than UK guitar legend Albert Lee. In addition to some killer performances from the artists on this massive lineup, #MGS2018 will also hold a monster exhibition that will feature a gigantic variety of electric and acoustic guitars, effects pedals, amps and more state-of-the-art guitar technology, both home-grown and from around the world. It will continue to be Australia’s biggest guitar pop-up shop, and that’s not all. The Melbourne Guitar Show will host information seminars, demonstrations, and live performances from Australia’s most talented guitarists. This year will be extra special as the Melbourne Guitar Show welcomes UK guitar legend Albert Lee. 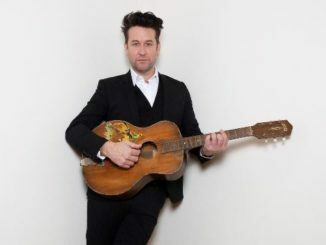 Lee’s work with The Everly Brothers, Eric Clapton, Emmylou Harris and The Crickets is renowned within the music world and cemented his place as one of the most respected and renowned guitarists in history. Speaking on Lee’s talent, Eric Clapton enthuses, “(He is) the ultimate virtuoso. His skill is extraordinary and he’s gifted on just about every level,” while Emmylou Harris says, “(Albert Lee) is a brilliant guitar player…his sound is unmistakable, never qualled.” The British-born country-rock artist started his long and illustrious career during the emerging rock ‘n’ roll scene of ‘60s London, when he played in bands with the likes of Jimmy Page and Chris Farlowe. He has received countless accolades for his work, and has been named Guitar Player Magazine’s Best Country Guitarist five times in a row. The first lineup announcement for #MGS2018 is a big one. Joining Albert Lee is Daniel Champagne, a prolific young guitar virtuoso with the world at his feet, and Jeff Lang, who has been described by Rolling Stone as “Australia’s best roots music artisan.” Melbourne Guitar Show favourites Nick Charles and Shannon Bourne will also be returning this year, alongside some seriously talented women Fiona Boyes, Alison Ferrier, Cat Canteri, Nat Allison and upcoming punk rockers Rackett. Not to mention a whole host of additional artists are set to be announced over the coming weeks. Drawing over 5,500 guitar lovers and enthusiasts to last year’s exhibit, the Melbourne Guitar Show is growing year on year and is gearing up for the biggest event yet. 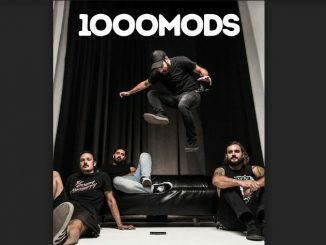 The voice of the Australian music products industry, the Australian Music Association (AMA) will be teaming up with australianmusician.com.au and presenting sponsors Triple M, 3PBS and Aon to present this year’s guitar-centric weekend. At last year’s MGS, punters not only enjoyed scheduled performances and demos from the awesome artists on the lineup, but also witnessed surprise on-stand appearances from some of Australia’s finest artists, including Ian Moss, Darren Middleton (Powderfinger), Paul Dempsey, Oscar Dawson and Ali Barter. Both the promoters of the show and the exhibitors are constantly wrangling acts right up until the very last minute – and who will be joining the all-star jam this year? Come on down and find out! The first artist line up announcement includes: Albert Lee, Daniel Champagne, Jeff Lang, Nick Charles, Shannon Bourne, Fiona Boyes, James Ryan, Phil Manning, Nat Allison, Brett Kingman, Alison Ferrier, Cat Canteri, Scott Darlow, Rackett, Van Larkins, Justin Bernasconi, Rohan Stevenson, and more to be announced over the coming weeks. 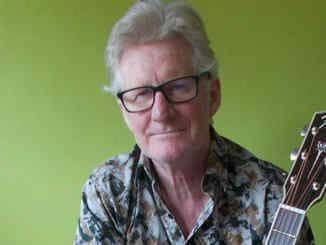 Q&A Scene: Guitarists’ Special: Phil Manning ~ Bay City Union, CHAIN, Pilgrimage, Manning Keays Band, Matt Taylor Phil Manning Band, solo.